Fritos, with anything tastes great in my opinion. Fritos when combined with meat, in this case chili, is the best. Ingredients are simple, easy to procure, and pre takes little to no skill. The ideal camp food recipe. In a small saucepan, heat chili. 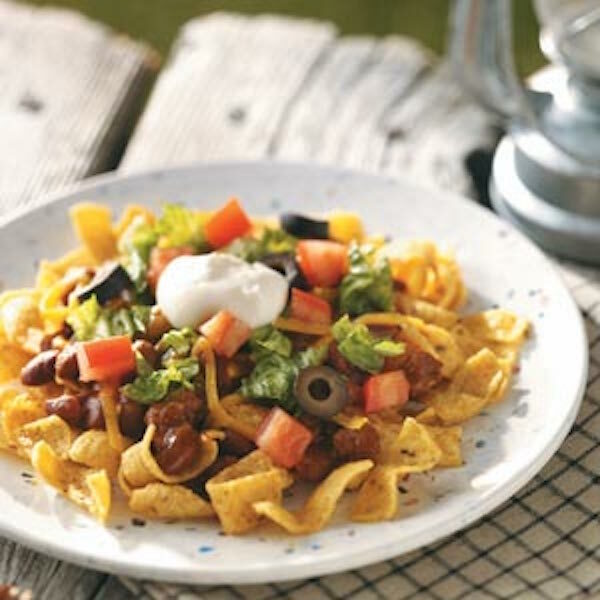 Divide corn chips between two plates; top with chili. Layer with cheese, lettuce, tomato, salsa, olives and sour cream. Serve immediately. Yield: 2 servings. Change it up add your own flair. Personally I always leave out the sour cream but to each their own as they say.